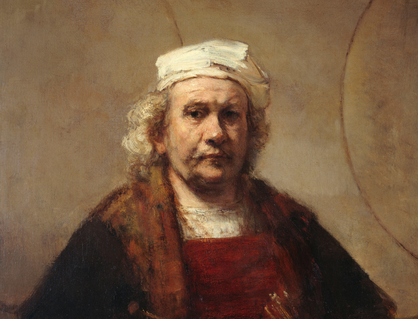 A previously unknown Rembrandt painting will go on show in the painter’s birthplace next year. Christiaan Vogelaar, curator of old master paintings at the Lakenhal museum in Leiden, confirmed the discovery of the artwork to the Leidsch Dagblad, but refused to give further details. The picture is currently being restored abroad and will be unveiled to the public on November 3 next year in an exhibition of Rembrandt’s early works. ‘First we need to make sure it is restored in time so there is enough time to carry out research into the work. I am not allowed to say anything else,’ said Vogelaar. It is the second time this year that a ‘new’ Rembrandt has been attributed to the artist. Art dealer and historian Jan Six bought a painting at auction in London 18 months ago that was previously described as ‘school of Rembrandt’. An examination of the Portrait of a Young Gentleman by experts concluded in May that it had been painted by the master in 1654.